I’ve shared a few posts lately about brightly painted furniture, like the trash-to-treasure nightstands and little lime table. 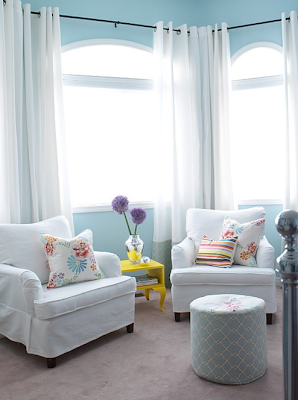 Bright, vibrant colors have it going on right now, from jewelry, to clothes, to furniture… Adding one simple piece of brightly painted furniture to a room can bring it from simple & understated to frisky & fun instantly. And the best part about this trend? It’s the PERFECT opportunity to transform and revive any old piece of furniture, so you’ll save $$ too! Normally, when I paint furniture I like to look for pieces with great detail and character, but the process is a bit different for me when I’m painting something a vibrant color. 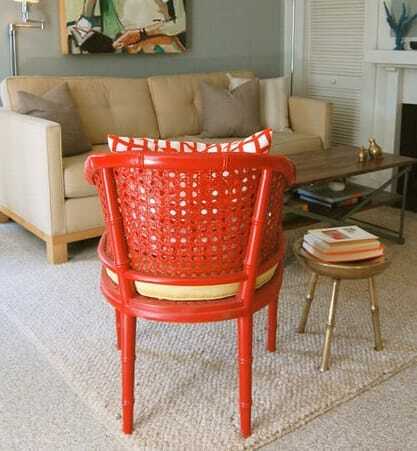 Since bright colors have a voice all on their own, it’s okay to use more old & boring simple pieces of furniture. 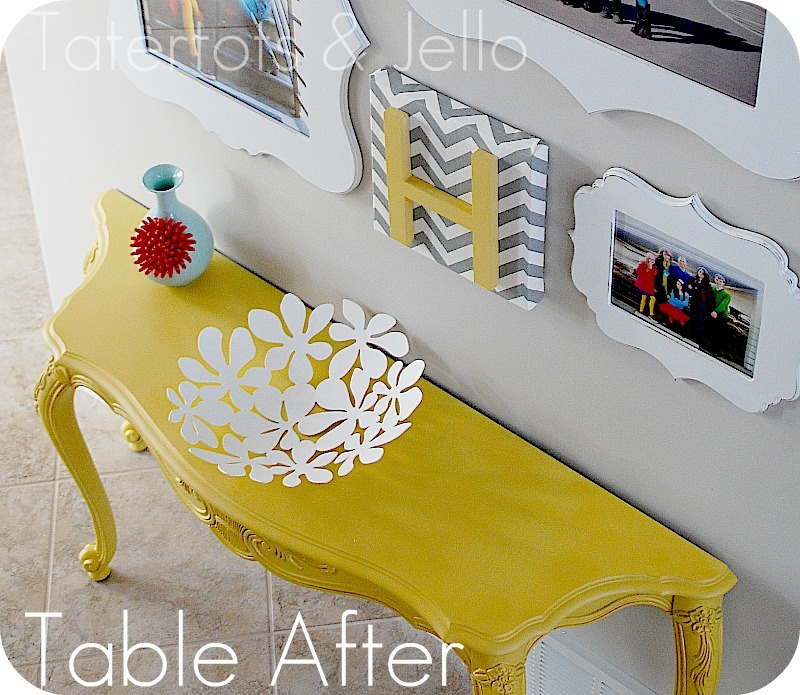 So dust off that old, forgotten about table in the attic and give it a fresh coat of FUN! Painting my Hall Table this weekend.. YELLOW! I absolutely love to repurpose furniture.Often I am stumped as to which paint choices to use.I have found this site extremely inspirational.So many pretty ideas.You are very talented.Keep up the great work.I will be following this site for future reference. LOVE all of these. So fun! I’d love to see your piece when you’re finished, please feel free to share your before & after in the Your Picks section! Sarah, the chair looks great, love the color! Props to you for stepping outside your comfort zone, it certainly paid off! Heya just wanted to give you a brief heads up and let you know a few of the pictures aren’t loading properly. I’m not sure why but I think its a linking issue. Thank you for the heads up. Which images are you referring to? Everything seems to be appearing fine for me. I’m currently working on a roll-top desk and a Dixie Bow Front Dresser! The dresser will be bright pink/fushiaish in color, not sure on the roll-top desk. Thinking maybe red! Love the pictures! Nu ai folosit pana acum promovarea online? Love your ideas! Are you just sanding the old pieces you find and then priming and painting? So inspired! 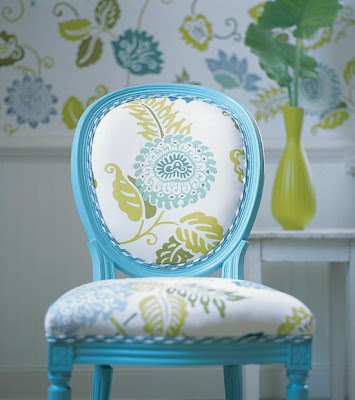 What are the steps that you take in priming a piece of furniture before you paint it. Then what kind of paint do you use? I want to paint a teacart we use in our kitchen. It is maple now but our kitchen is bright yellow and our table has a natural top and hunter green legs. What is your suggestion and how do I try this experiment.